In a letter to Acosta, White House communications director Bill Shine and press secretary Sarah Huckabee Sanders said they will be forced to reconsider the decision "if unprofessional behavior occurs." CNN said that, as a result, it has dropped its lawsuit against the White House filed on Acosta's behalf. 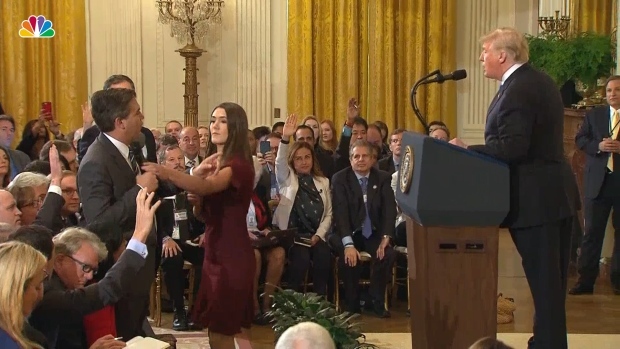 CNN journalist Jim Acosta had his White House press credential suspended after a tense interaction with President Donald Trump at a news conference on Wednesday. "Thanks to everyone for their support," Acosta tweeted. "As I said last Friday ... let's get back to work." The White House initially revoked Acosta's credentials after he and Trump tangled verbally during a Nov. 7 press conference. The administration's initial reasoning was that Acosta had manhandled a White House intern seeking to take his microphone, but that fell apart after Sanders distributed a doctored video sped up to make Acosta look more aggressive than he actually was. Instead, the White House focused on behavior they deemed disrespectful to the president. Acosta and CNN have been frequent targets of a president who has derided coverage of his administration as "fake news" and called the media the enemy of the people. CNN filed suit to get Acosta's credentials restored, arguing that the action violated the constitutional right to freedom of the press and that he had been denied due process. In Washington, D.C. District Court Judge Timothy Kelly cited the due process argument last Friday in granting Acosta a two-week injunction to get back to work. 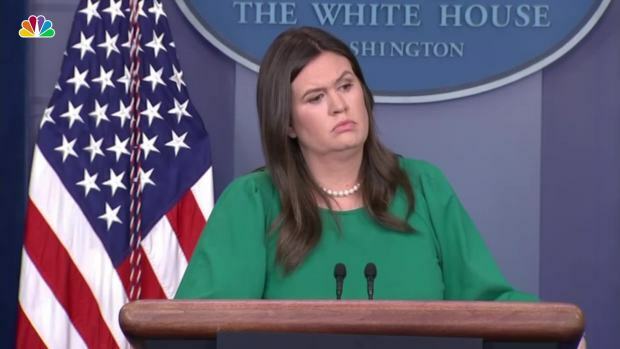 "The view from here is that White House interaction with the press is, and generally should be, subject to kind of a natural give and take," Shine and Sanders wrote. "President Trump believes strongly in the First Amendment and interacts with the press in just such a way. It would be a great loss for all if, instead of this give-and-take, and instead of relying on the professionalism of White House journalists, we were compelled to devise a lengthy and detailed code of conduct." Still, they did outline rules compelling journalists at news conferences to physically surrender microphones if the president hasn't granted them a follow-up question, and said a failure to abide by these standards could result in them losing their passes. In Acosta, the media had an imperfect First Amendment champion. Even some critics in the media world have said he occasionally seems more interested in making a point than in asking a question. In the Nov. 7 news conference, he and Trump briefly argued over the president's contention that a group of Latin American migrants headed to the southern U.S. border represented an invasion. "We are not the enemy of the people," Acosta tweeted Monday. "I am not your enemy. You are not my enemy. It is wrong to call your fellow Americans the enemy. We are all on the same team. We are all Americans." The administrations got in one last twist Monday. CNN was informed of the decision to drop the case in a letter to Acosta — delivered after his competitor, Fox News Channel's John Roberts, tweeted the "SCOOP" that the White House would not seek to revoke his pass.